Batman Vs. Sherlock Holmes - Who's The Greatest Detective In The World? It's been a while since I viewed anything from 9GAG and I'm glad I passed by when I did. 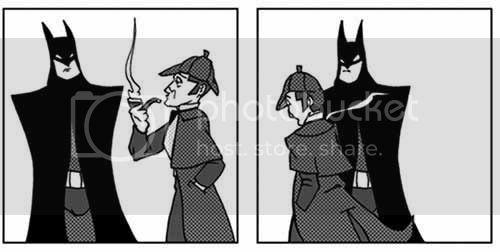 This Batman Vs. Sherlock Holmes comic strip is too good not to post and I'm pretty sure Batman fans will enjoy it the most and maybe a couple of Sherlock Holmes fans too. 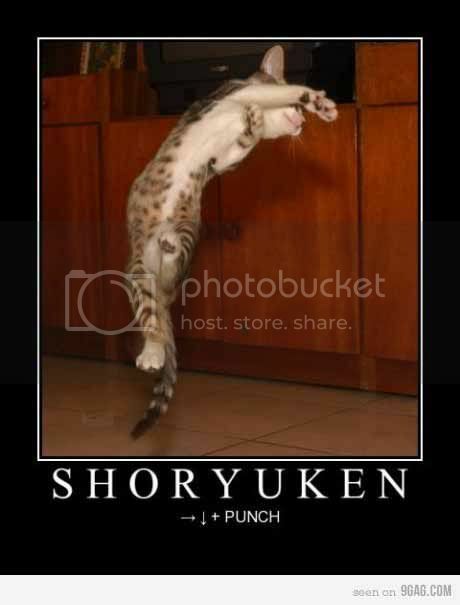 Oh and I posted another image of a cat doing a Shoryuken after the break for all you geeks out there that love cats and Street Fighter.